In the 1720s and 30s ‘Brighthelmstone’, as it was then known, began to be used as a bathing resort. Its real transformation into a centre of fashion began in the 1750s with the publication of Dr. Richard Russell’s medical sea-bathing cures. By the time George, Prince of Wales, first visited Brighton in 1783 it was already a popular seaside town. The Prince’s continued visits, better coach transport and the interest and investment of wealthy local businessmen all helped to ensure the resort’s continued success. A new phase in Brighton’s development began as the economy recovered after the Napoleonic wars. By the early 1820s the economy had improved and a national building boom was apparent, allowing many opportunities for speculation. In Brighton, the landowners Thomas Read Kemp and Rev. Thomas Scutt seized the opportunity to produce grand schemes which could compete with Nash’s developments in the capital and turn Brighton into an elegant ‘London by the sea’. 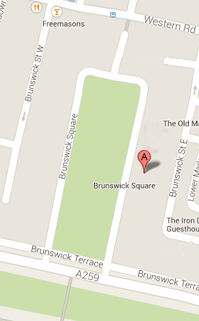 Both Brunswick Town in Hove and Kemp Town in Brighton were such developments. 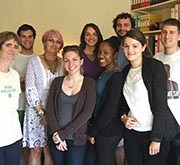 They offered high quality houses which were expected to appeal to courtiers, those on the periphery of court circles and successful Brighton professionals and entrepreneurs. During the next twenty years the Brunswick and Kemp Town developments did attract top aristocracy including most of the British Cabinet and many European royals. 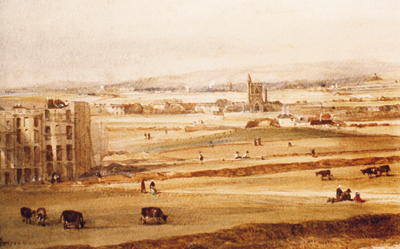 Brunswick Town was built in the parish of Hove, but it had little impact on the existing village to the west. Instead, the new development became known as ‘West Brighton’ reflecting its real attraction as an extension to fashionable Brighton. Above: an afternoon by the Chain Pier. 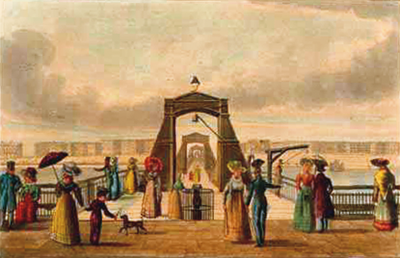 It was the opening of the railway in the 1840s which ultimately changed the character of both Brighton and Hove. At first, the new mode of travel attracted affluent visitors in even greater numbers, leading to particularly glittering social seasons in the late 1840s, but, as the railway companies began to offer cheaper tickets and excursions, these attracted new types of travellers. Brighton found popularity with working class day-trippers from London whilst Hove attracted the suburban middle classes and Victorian commuters.